In the comments section in yesterday’s The Spread Between the VIX and 20 Day Historical Volatility in the SPX, über reader Frank shared his analysis of the VIX relative to the 20 day historical volatility (HV) of the SPX. Frank’s conclusion is that when the spread between the VIX and the SPX's 20-day HV is one standard deviation or more below the average from the previous year, the SPX is much more likely to close down in the next five days than when the spread is one standard deviation or more above the previous year’s average. 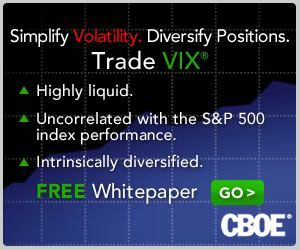 I have examined a number of data sets involving the VIX and various HV calculations for the SPX, including 20 day HV. My findings support the idea that when the difference between the VIX and the 20 day HV is at historically high levels, the SPX is much more likely to outperform over the course of the next couple of weeks. Similarly, when the spread is at historically low levels, the SPX is more likely to underperform going forward. For reasons likely related to VIX mean reversion, a high spread is a more robust signal than a low spread. Since the spread demonstrates a tendency to trend, I have applied some smoothing factors to the spread and compared the spread to its various moving averages. In so doing, I have determined that the absolute level of the spread is less important than the differential between the spread and its moving averages. Finally, and getting back to Frank’s original point, I was surprised to discover that extremes in the difference between the spread and the moving averages (both at the high end and low end) offer very little information about the future direction of the SPX. If you are ever so inclined I would like to hear your view of QQV vs. VXN. I understand one is for the QQQQ's and one is for the NASDAQ 100, which are almost synonomous, but not quite. I mention it because the two volatility measures are acting quite differently today. Time to Be Long China? Fifty Day Historical Volatility Rolling Over?